This is one of those quilts that was fun to make, although it was not finished in time to be used for it's intended purposes. 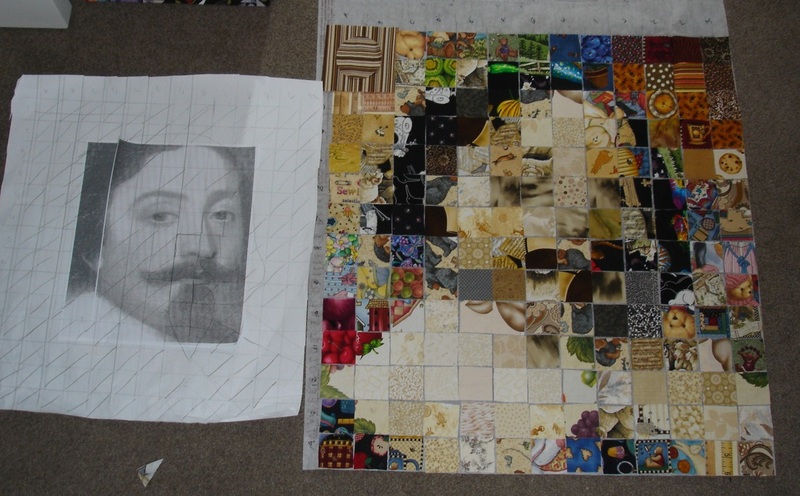 When making a watercolour quilt the size of the block makes all the difference. In this instance I tried to let the complex fabrics used complete the effect. I was exploring an idea, which in my opinion was less than exciting. This happens. The picture used was of the famous explorer Abel 'Janszoons' Tasman. He was dutch (with that lovely big white collar). Mr. Tasman is credited with the discovery of New Zealand 13 Dec. 1642.